What Attracts Rats & Mice Into A Home Or Garden? Rodents are not free spirits and do not “go where the wind takes them.” There is a motive to the direction these furry creatures are headed – and it’s usually for food and shelter. Certain environments and layouts of a property make it easier for a rat or mouse to invade, thus making your home more appealing to rodents and more susceptible to an infestation. But before we dive into what attracts rodents to your home, let’s familiarize with the three common offenders found in Southern California. Rats and mice are stealth creatures and generally on the move at night, so all you may see of them is their tiny little gifts they have left behind from the night before. So to make the identification easier for you, each pictured rodent below is matched with its excrete. Now that you may have a good idea of which type of rodent problem is in your home, let’s go over what attractants make your home or garden a rodent haven. Rodents are skilled contortionists, acrobats, and climbers. They will successfully land leaps that even your younger self probably wouldn’t even attempt or be able to squeeze through tight spots that would make any claustrophobe faint. Any hole a ¼” and ½” in diameter are potential entries for tiny mice and rats, respectively. These spots can be around pipes or wires entering a structure, gaps underneath garage doors, crawl space openings, or roof vents. To make these areas not so accessible or impenetrable to rodents consider installing deterrents. Placing screens with gaps no bigger than 1/4” or hardware cloth around openings are effective methods to keep rodents out. For exterior doors, door sweeps or weather stripping will put up a barrier that will exclude larger pests. Also, trim tree limbs and tall bushes at least six feet away from roofs. The acrobatic nature of rodents makes this a simple obstacle course to obtain entry into your home. 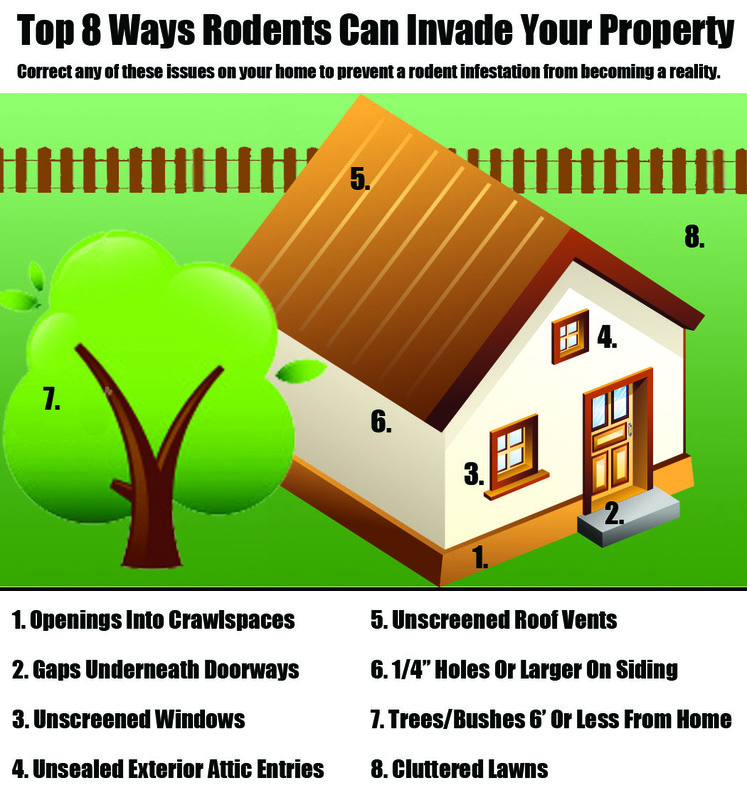 Use the illustration below as a checklist to determine if your home is susceptible to rodents. It provides the nourishment that sustains any type of life form and we all seek it – food! Rodents are no different and they are not picky eaters in any fashion, so they will feed on almost any item that is edible – raw, mangled, dirty, cold, etc. To remedy this problem first begin by thoroughly cleaning areas where food is prepared, cooked, or consumed. This includes vacuuming or sweeping and wiping down tables to remove crumbs or small food particles that can be a feast for rats or mice. Wash dishes after every meal – or at least daily – so that there are no morsels for any whiskered noses to sniff out or buck teeth to chomp on. This gives no chance for rodents to survive in your household and a very compelling reason for them to leave if they have already infested. Dry goods, food waste, and pet food should be in secure containers that a rodent would not be able to access. If your pet does not finish the food in the bowl, be sure to dispose of or put back in a secure container – do not leave out overnight. Bountiful gardens can be the root of a rodent infestation. The ripe fruits that have fallen from trees or garden vegetables that have not been harvested are a perfect food source. Rodents can nest within your attic or crawlspace and go out to feast on this smorgasbord daily. Pick up any fruit in the lawn and tend to your garden often, collecting any ripen produce. Bird feeders that leave seeds on the ground should be placed over areas where the seeds can be easily swept up. The skittish nature of rats and mice make cluttered environments or lawns with tall grass or weeds an ideal nesting location. These gnawing, night roamers can remain stealth and unseen in these conditions, making them more comfortable and giving them less of a motive to leave. To begin decluttering your property, start by manicuring and tidying the lawn. Remove any old appliances or stationary objects that rodents can nest inside. Ensure that items that must be stored outside remain elevated and away from fence lines or structures. This may seem exaggerated, but for indoor conditions, make sure you can see the floor – we have encountered some situations like these. Keep items off the floors and into dressers, cabinets or closets. Try not to stuff too many items into closets, and items that are stored in these spaces, try to have them in secure, plastic containers. The same can go for storing belongings in attics. Familiarity is a major attractant for rodents. If familiar scents or nesting materials are present in your home from a previous infestation, another pack will soon follow. Rats and mice feel comfortable living in areas where there was known former rodent activity – it reassures them that it was a suitable living location and that their nest will likely not be disturbed. 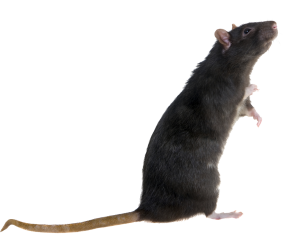 Complete sanitation service is recommended after extracting rats or mice. Depending on the severity of the infestation, this can include removing droppings, cleaning grease marks from baseboards, sanitizing nesting areas, and replacing insulation in attics. Effectively preventing a rodent infestation requires some commitment to a routine, and the payoff is not only a rodent-free home but a cleaner home and healthier living environment. Please leave any questions on rodent problems below or add some of your own favorite techniques to deter a “hairy” infestation. 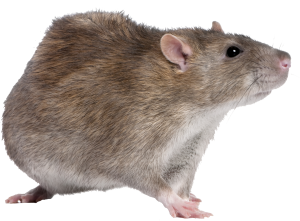 If you need an expert to control your rat problem, give us a call for a free estimate!